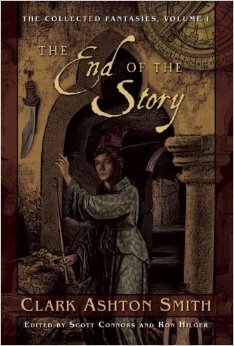 Last summer, I received an advanced reading copy of the new The End of the Story: The Collected Fantasies of Clark Ashton Smith, vol 1, from Nightshade Books. It’s funny, because these are short stories from the 1930s, yet this is a new printing, with a new introduction, new cover art, etc. It’s lucky this book arrived, as I’ve always heard the name Clark Ashton Smith, but never came across any of his work. 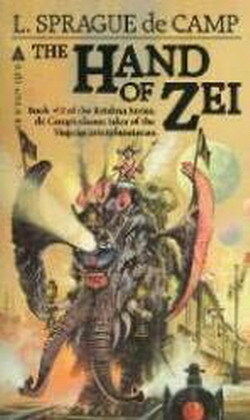 Skimming through the introduction and the table of contents, I quickly learned two things – Clark Ashton Smith is known for cosmic horror and weird fiction, writing in the vein of H.P. 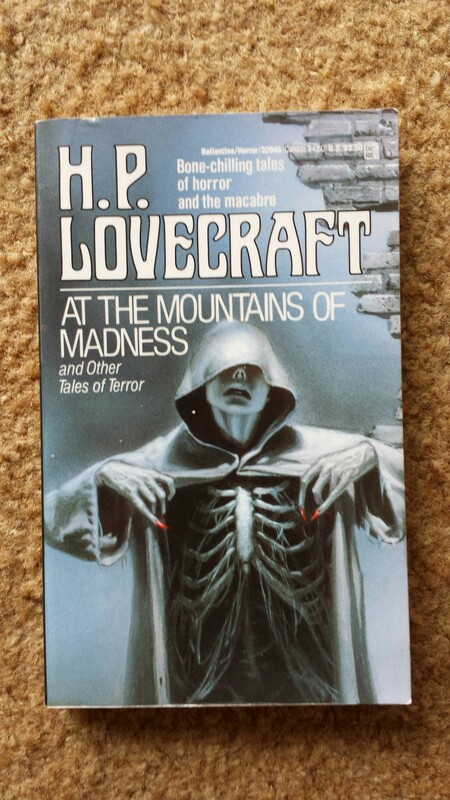 Lovecraft; and that most of these stories were blessedly short. Don’t get me wrong, I like a meaty short story, but sometimes a super quick 5 page story, one that’s practically flash fiction, is exactly what fits the bill. These were short stories I could read half a dozen of before bed, or read one while cooking dinner in between steps of stirring occasionally, and seasoning to taste. It’s funny reading stories that were written so long ago, and most of these were written between 1925 and 1935. Just think, in ten years, these stories will be a hundred years old. So, are they dated? Oh completely. But what’s most fascinating to me, is things that readers would have been horrified at (vampires, waking nightmares, succubi, etc) in the late 1920s, most readers today are completely used to. Do you remember the skinny “Scary Stories to Read in the Dark” books that were popular with the 3rd to 6th grade crowd in the 80s? Ghost stories, stories about people’s heads falling off, all rated G, but totally creepy to any nine year old? This is not an insult, but many of the Clark Ashton Smith stories felt quite a bit like those. His literary style is a nicer kind of horror in a way – nothing gruesome, nothing squicky. Many of his “big reveals” are fairly cheesy by today’s standards, such as the man’s visions were all a dream, or the old person relating the scary story disappeared into thin air, and such. I’d happily give this collection to any ten year old, and not only would it scare the pants off them (in a fun way, I swear! ), but they’d learn all sorts of fun new words, like asphodels, psammite, innominable, obloquy, invultuations, and dilatoriness. Joining me today is reviewer, blogger, author, photographer, podcaster, and all around nice guy Paul Weimer, to discuss L. Sprague De Camp’s Viagens Interplanetarias series of short stories and novels. An expat New Yorker that has found himself living in Minnesota for the last 9 years, Paul Weimer has been reading SF and Fantasy for over 30 years and exploring the world of roleplaying games for over 25 years. Besides his regular presence at SF Signal and his chatty presence on Twitter (@Princejvstin)Paul can be found at his own blog, Blog Jvstin Style, a contributor to the Functional Nerds, as a co-host on Skiffy and Fanty, occasional guest on SFF Audio, and many other places on the Internet. Read his story “Newton’s Method” in Tales of Eve, an anthology from Fox Spirit Press. After World War III in the 1960’s, Earth became Brazilian for a while. The Southern Hemisphere was not as affected by the fallout and damage of the Northern Hemisphere, and so it, led by Brazil, led the world to recovery. So when Man went to space, and eventually to the stars, the men and women who went to the stars spoke Portuguese. Exploring space and dealing with aliens requires an agency to handle the interactions. And thus, the Viagens Interplanetarias watches the starways. The Viagens Interplanetarias is the eponymous name of a set of stories and novels written by L. Sprague De Camp. 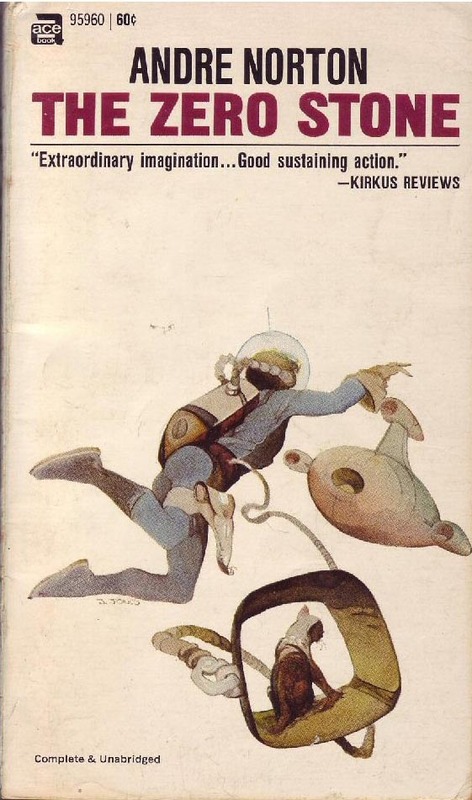 Written primarily in the 1950’s, the Viagens Interplanetarias novels have the virtues of De Camp’s strengths, in a light and fun setting he explored for decades afterwards. It’s almost December. you know what that means? that means it’s almost January. And we all know what that means! 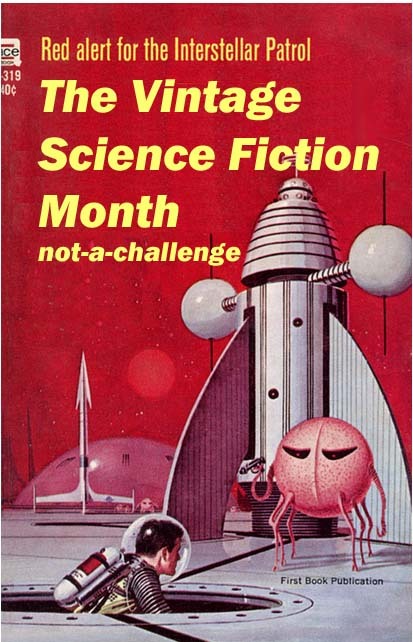 January means the return of Vintage Science Fiction month! Shiny new stuff is well, shiny and new, and we all love it. But what came before it? Your favorite author happened to mention they were inspired by the writing of Jack Vance or H.P. 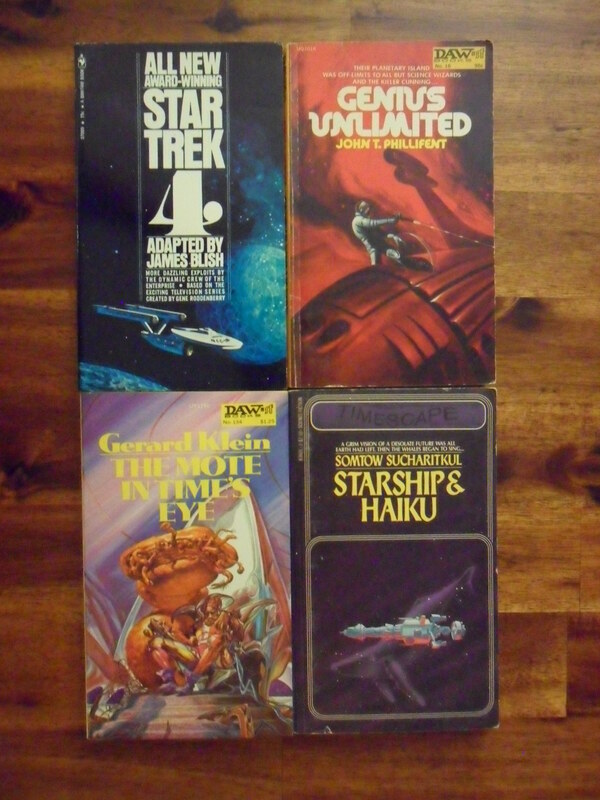 Lovecraft or Andre Norton or James Blish? Aren’t you curious about how your favorite authors put their own spin on the dying earth and chthonic horrors? To get a little philosophical, by knowing where I came from, I can better see where I stand, and better see where we’ve yet to go. This January, let’s find out. 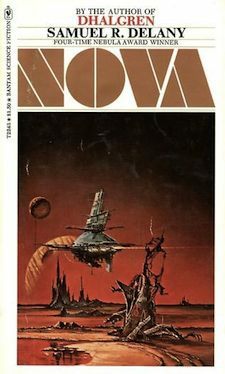 As in past years, I’ve arbitrarily decided 1979 is the magic year for determining if something is vintage or not, and as in past years I’ll ask that anyone participating link up their review in the Vintage Science Fiction tab at the top of the page. This January, blog about a book or a comic book or a movie or a radio show or an author from before 1979 and let me know about it so I can come visit your blog. It’s that easy. Feel free to grab the red spaceship image above, and use it as a badge-y thing. believe it or not, the best gift you can give to a book lover is not more books. the best gift you can give to a book lover is introducing them to a new bookstore! Seriously, September should be “share your favorite bookstore with a friend who has never been there” month. On Saturday I went with a good friend to John King Books in Detroit. He’d never been there before, and I keep talking about the place. I’ve written about this store a few times before, it’s famous in the area for being the largest used bookstore in Michigan. It’s even got a cameo in Libriomancer, by Jim C. Hines! Mr. King got his start once upon a time as a collector and appraiser of rare books. As the collection grew he needed more and more space. Finally, he bought a four story warehouse and filled it (and I do mean filled!) to the ceiling with books and related paraphernalia. Being down the road from Wayne State University, there is plenty of scholarly material, plus cases and cases of vinyl records, vintage children’s books, postcards, lithographs, and we even saw an antique typewriter. Did I mention the miles and miles of books? The bookstore is just for regular retail books, his rare book room is by appointment only. Visiting John King is an adventure, let me tell you! It’s not unlike being in the Cave of Wonders from the Disney version of Aladdin crossed with a Choose your Own Adventure story, you just want to explore, and explore and explore, because who knows what will be around the next corner? We had a blast going through the different floors and enjoying the hand drawn maps and signs. There are milk crates at the end of many aisles filled with more books. There are milk crates in the aisles to use as step stools. The shelving is basic, the lighting is terrible, the building has no heat or AC. I finally found the bathroom. I visit John King Books every few months, and unfortunately, their science fiction section was very picked over on this visit. I was also on a strict budget this time, so stayed away from the new-ish stuff shelves and played the “how much can I get for $20?” game. I got a few gems, a few weird ones, and other random stuff that jumped out at me!